A GAL NEEDS...: A Sweet Gift From California Delicious! A Sweet Gift From California Delicious! Located between San Francisco and Napa and Sonoma counties, California Delicious has access to some of the finest California produce and other products. Do you need to find something really nice for someone who doesn't live right next to you? I would suggest letting California Delicious do it for you. They are experts at what they do! I received an early Valentine Gift from California Delicious! I got to sample their Happy Valentine's Day Gourmet Gift Basket! The sturdy basket came looking very pretty all wrapped up in a pretty bow and cellophane for freshness. Now, I am a bonified chocolate fan, as attested by my Pinterest Board and those who know me! I was very interested in what kind of chocolate would be included. I loved the Triple chocolate brownie, the Ghiradelli Chocolate bar, and the Godiva Truffles! I liked the balance between sweet and salty. The salty was good with the Smoked Almonds, and the cheese spread and crackers! There were plenty of treats to enjoy myself and share with members of the family. It was a big hit with everyone! My Basket came wrapped like this! California Delicious has hundreds of options to choose from. From fruit baskets to Chocolate Towers to wine baskets to Gifts For Her and Gifts For Him. Basically, if you want to send your Aunt's 2nd Cousin's Secretary a celebratory gift on the acquisition of her first cat, there is definitely something at California Delicious, starting at just $19.99. I think the only reason NOT to think about sending a gift basket is if the person lives somewhere like Russia. Now, if they are coming BACK from Sochi because they are participators or spectators at the Olympics, by all means a gift basket from California Delicious is in order!!!! Right now California Delicious is having a great special. It's called Give A Gift, Get A Gift and it's just that! "No kidding…We will send you a nakedwines.com gift card valued at $50 for every gift* that you send from California Delicious. It’s our way of saying Thanks for your business!" This is only while supplies last, so hurry! Wow! These ALL Look So Yummy And What Pretty Baskets Thanks For The FREE Gift Card This Is Great!! All these baskets look so beautiful. What a great gift for any occasion. My favorite are their cheese trays and baskets. I love how you get such a great selection of foods to try! There is so many great gift in these baskets! Anyone would be so happy to receive one of them! They have so many combinations of products to choose from too. These gift baskets look so nice. I'd love to receive or be proud to give one of these baskets. I have actually never given or received a professional gift basket, but these look really nice. Thanks for the review! What beautiful and tasty-looking gift bags. I think anyone would be happy to receive one of them . . . . especially chocoholics! I would love to try their chocolate lovers basket. The teddy bear is cute. LOL..The whole time I was reading this I was thinking about "Oh Brother Where Art Thou?"... "But you ain't BONAFIDE!" OMG. I love that movie. Anywho. These sound lovely. I am all about chocolates and stuffed animals. Thank you for your review. Great assortment of gift baskets! I especially like the fruit ones - thank you. I have only one complaint with them: I found the online ordering to be both confusing and frankly annoying - but ultimately it all went smoothly. Perhaps it's been improved since then! Thanks! I'd love to get their Italian food baskets! 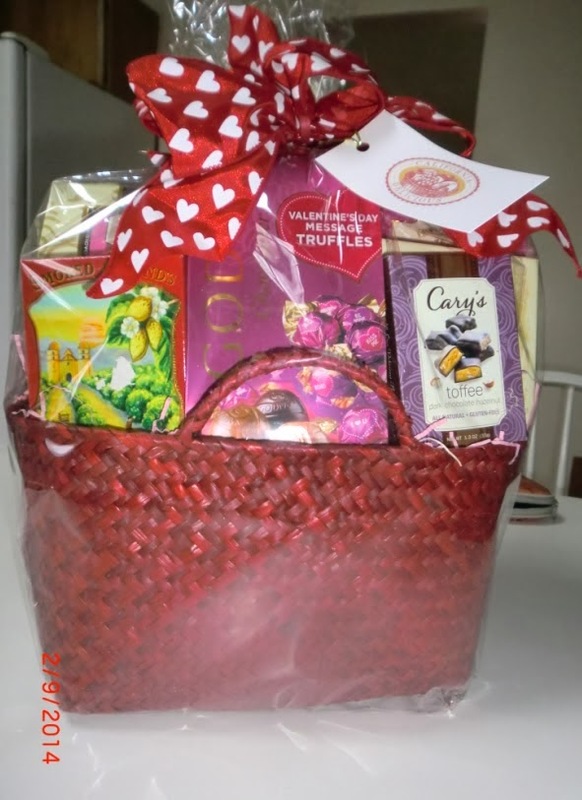 The Chocolate Lovers Gift Basket looks incredible! Ghiradelli Chocolate is fabulous! I have tried a lot of it over the years but I have never even seen truffles by them except for in this basket. wow! the basket that they sent you was absolutely beautiful! I can't believe how big it is! I was looking through their prices too and it's incredible how fairly things are priced. Thanks for the recommendation!! Definitely will keep them in mind!! This sounds like heaven to me! Chocolate & nuts...Sweet & Salty! Yum! I want the Godiva truffles! A yummy assortment of goodies. I love the variety of they offer. Coffee and chocolate. The 2 necessities of life. Wow, their baskets look awesome! These baskets are absolutely beautiful. I would love to get one of these as a gift. These Gift Baskets are absolutely wonderful. I like the variety they offer. The treats look delicious. I love this company. They have such a wide assortment of gift baskets for any occasion! These gift baskets look very nice. Thanks for sharing! I love that this basket has both sweet and salty snacks, mmm!